A colony on Mars has been a dream and a vision for many people. The plans for a trip to Mars that SpaceX and Elon Musk revealed earlier this year have given these dreams a fresh boost. Should Humans ever go to Mars and establish a colony there, they will need a functioning, self-sustaining economy. This economy will need a transport infrastructure to support it. In this article, I lay out how this infrastructure could look like and which forces influence it. The first settlers will likely settle down near the landing sites to have access to their supply material. After they have established themselves, the settlers will need to exploit the planet’s resources to sustain themselves. Sending settlers or goods back to Earth requires rocket fuel. As soon as fuel is available, the settlers can establish spaceports. These will act like airports for interplanetary traffic. The spaceports will be located near the equator, as this is the most energy efficient location for a leaving the surface of a planet. As being near a spaceport will provide the easiest access to Earth’s resources, the first population centers will most likely be located at the equators. As soon as the first bases are established, the settlers will need water. There is no liquid water on the surface of Mars, but huge quantities of ice have been found at the South Pole. Thus the settlers will have to set up a water mining facility there. Then they will need some way to transport the water to the cities at the equator. Mars’ atmosphere contains huge amounts of carbon dioxide. Carbon dioxide also exists in frozen form on the poles. It will be a vital ingredient of the fuel for the rockets leaving Mars’ spaceports. Mining it on the poles might be easier than extracting it from the atmosphere. The distance between the poles and the equator is roughly 13,500km. This means the colonies at the equator will need a long distance bulk transporation system to ensure their water supply. The discovery of hematite on the surface shows that Mars has deposits of iron ore. Let’s assume that we can adapt a steelmaking process to Martian conditions. Then the iron ore will be the basis for a steelmaking industry. To grow plants, the settlers need to produce fertilizers. This will require several chemicals, including phosphate, nitrogen and potassium. Most of the energy sources used on Earth are not available on Mars. Because there never was any organic life on Mars (at least none that we know of), there are no fossil fuels and no coal. And even if there were, there would not be enough oxygen in the air to burn it. Wind energy is not an option, too. The winds on Mars can get pretty fast, but due to the thin atmosphere they will hardly have any impact on wind turbines. Solar energy will also be a problem. Mars is far away from the sun (1.5 AU), which means it receives less sunlight than Earth. The frequent storms that throw dust into the air reduce the sunlight that hits the ground even further. A more viable option is to use nuclear energy. It will work under all environmental conditions, as it does not need oxygen. But the operation of nuclear power plants requires water. The heat that the nuclear fission produces evaporates the water. The steam then powers the turbines. Water seems to be available in abundance on Mars, so this is not a limiting factor. Nuclear fuel is another matter. As long as no deposits of Uranium are found on Mars, Earth needs to supply it to Mars. People on Earth will definitely not be to happy if vast amounts of radioactive material fly over their heads in rockets, because these tend to explode once in a while shortly after the start. But we can assume the reliability of rockets will be increased before the colonisation of Mars begins. Otherwise few people will be willing to use these rockets to migrate to Mars. For long-term sustainability of the power supply, deposits of Uranium need to be found on Mars. As long as the population on Mars is sparse, it is not a problem to find a proper location for the nuclear plants. A failure of a power plant will have less effect than on Earth, because the winds cannot transport the fallout too far, and there is no life to be polluted. All humans will live under domes anyway. Another possible option that does not require any fuel is thermal energy from Mars’ core. According to the data from Mars Global Surveyor, the planet’s core might have a temperature 1,500°C. It might be feasible to tap into this energy source. This process will need water to transport the heat from the drillings to the surface. 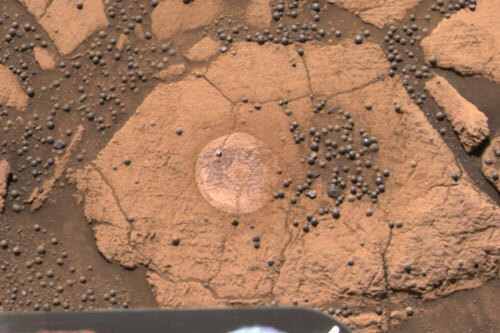 However, no deep drillings have ever been done on Mars, so a lot of experimental work has to be completed before this energy source can be used. Both nuclear and thermal energy plants require water to operate. They will need access to the transport network that will supply them with water. Transfering the power accross the globe will require a power grid. Its introduction will consume huge amounts of copper. Thus another resource to have a closer look at is copper ore. Bulk transport over long distances is most efficient using trains. Due to Mars’s lower gravity (about 1/3 or Earth’s), a single engine should be able to pull even more load. On the other hand, the lower gravity reduces the friction between the wheels and the rails, which will cause the wheels to slip more easily. Thus the engine would need a much higher mass. An alternative would be to use maglev trains. There is no existing rail infrastructure that needs to be interoperated with. The lower gravity also means that less energy is required to lift the trains, making the system more feasible. Both maglevs and conventional trains will need electrical energy to run. This will add to the need for copper for the electrical grid. Shorter distances or areas where no train tracks are available will be the domain of trucks. Regarding friction the same conditions as for trains apply. Trucks will be heavier than on Earth, and they will likely use much bigger tires. They will be all electric, as fossil fuels cannot be used. They will run with batteries. Recharging stations along the trucks’ routes need to be established, likely together with stations where the crew can rest or be exchanged. The power grid will have to connect these stations, too. 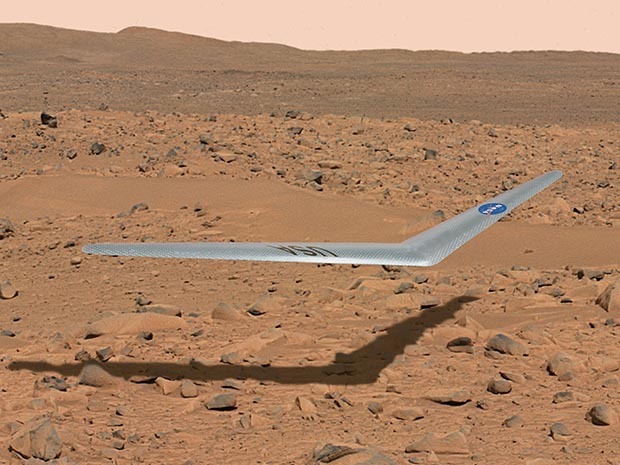 It is not clear yet if planes can operate on Mars. One major problem is that the air pressure on Mars surface is only 6hPa. According to Austin Meyer’s calculations, taking off might be possible at very high speeds, but it will be very hard to steer a plane. And a completely different problem is how to land it. Nevertheless, NASA is working on a prototype. Maybe airships will be a viable option on Mars, but the speed will likely be very low. The most vital ressource on Mars is water, which could as well be transported with pipelines. These have the advantage that they are not affected by storms and dust settlements. On the other hand, insulation is a problem. Surface of -130°C or even less will require a very thick isolation or a heating system to keep the water liquid. Trains could transport the water even in frozen form without special insulation. The settlers will have to built all settlements on Mars from scratch. With the right planning, they can create more efficient local transportation systems than in Earth’s cities. As space is a limiting factor – you can only live under a dome – no one wants to waste it for streets and rails. The transporation system in the cities has to move underground. 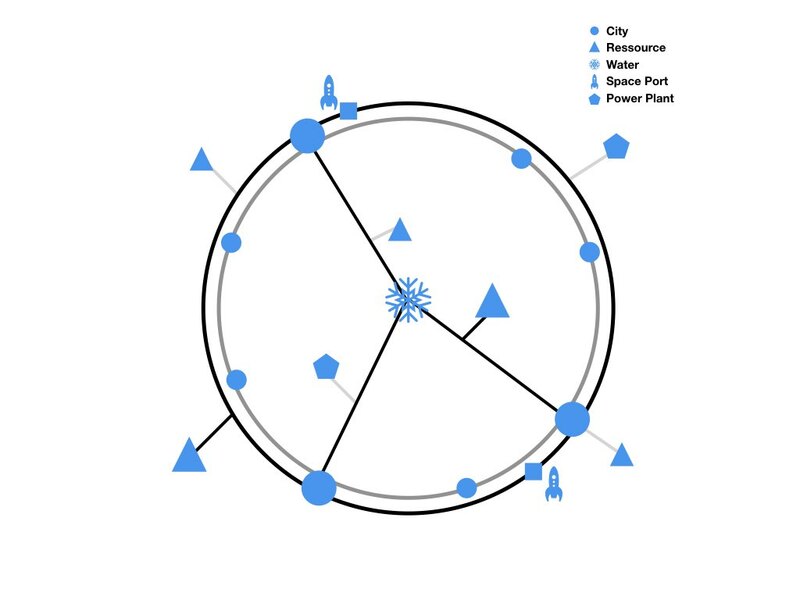 This has to be taken into account in the plans for a city. When the construction of a new city starts, the settlers can built the tunnels first. They can put all surface buildings on top of them. Then there are tunnels available when they need to introduce a public transporation system. Also goods can be transported underground. It would be possible to connect all factories, shops, railway stations etc. with an underground transporation system, as the tunnels are already there. With most of the traffic underground, the cities will have more space for pedestrians, public plazas and gardens. Ships are obviously not needed on Mars, as there is no liquid water. All vehicles that operate on Mars need to be specially equipped to withstand the very fine dust of Mars. Due to the frequent sand storms, the sight of the driver might often be impaired. Maybe fully automated driving can solve this problem. This will require sensors that also work during a sandstorm. The first imperative of settlers on Mars will be to provide energy, water and food. The first two are needed to produce the latter. This will force the settlers to start mining water at the poles soon after the landing – both to irigate the plants and to be used in the nuclear power plants. This means they will need to bring trucks and mining equipment from Earth and start an expedition to the South Pole rather soon. Right afterwards, they need to build a street towards the poles to speed up the transport of the water. With water from the poles and supplies of nuclear fuel from Earth, the nuclear plants can go into operation. The same equipment can start working on the more level track for the train towards the poles. This will increase the capacity of this vital link. In parallel, expeditions to explore possible mining sites will start. Especially iron and copper ore are important. Vast quantities of them are necessary to build the infrastructure. It is very costly to bring them over from Earth. Satellites or airships can be prepare the explorations, but drillings need to be done on the ground. As soon as the basic production chains are in place, the settlers can start spreading out accross the planet. The major transportation hubs will be the cities and the space ports. These will start growing around the equator. A ring of streets and railway tracks will form around the equator to connect the cities. One or more trunk lines will connect this ring with the South Pole. From this skeleton network, branch lines will extend towards the mines of other resources. As air travel is most likely not feasible, high speed trains will play a bigger role in interplanetary travel. These will connect the big cities along the equator. Lower speed tracks will connect neighbouring cities with each other. Building a viable colony an Mars requires a working economy. This can only be brought into live with a powerful transporation network. We need to plan this in advance. We have to conduct Geological surveys to find deposits of the needed minerals, which reduces the need to transport them from Earth. We also need to develop construction machinery that works on Mars. Alongside that, we have find industrial processes that can operate under Mars’ atmospheric conditions. Only with proper planning of the industrial processes and the transporation network can the Marsian colony grow from a mere research station to a self-sustaining economy. And only a self-sustaining economy will bring us closer to the real goal of colonizing Mars – to have a second Earth. So we better start planning now. Please note that this article is based on my own research and conclusions. 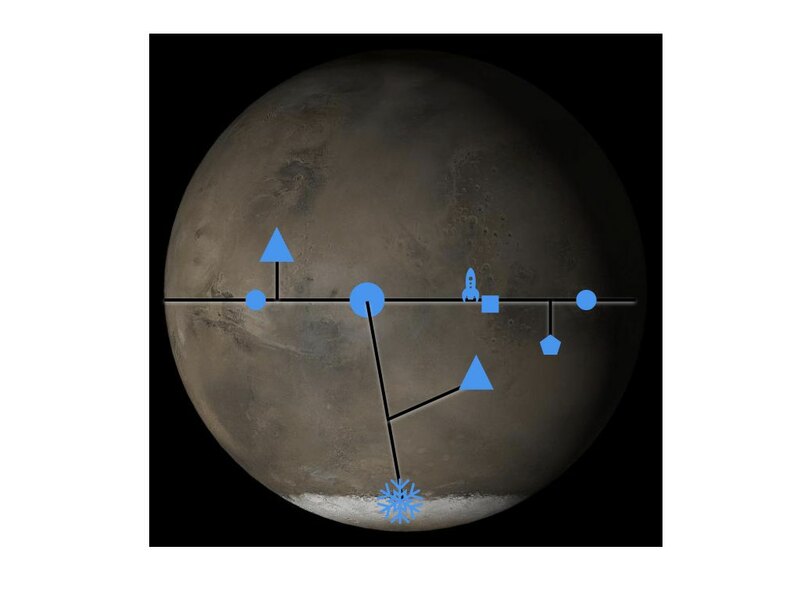 It is not an official guide to build a colony on Mars. 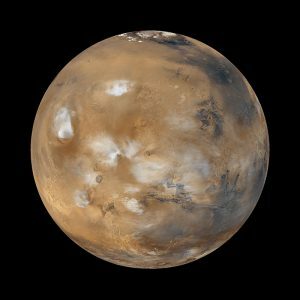 All images of Mars provided in the public domain by NASA. The drawings are all done by myself.